The beer was good so the painting is underway. 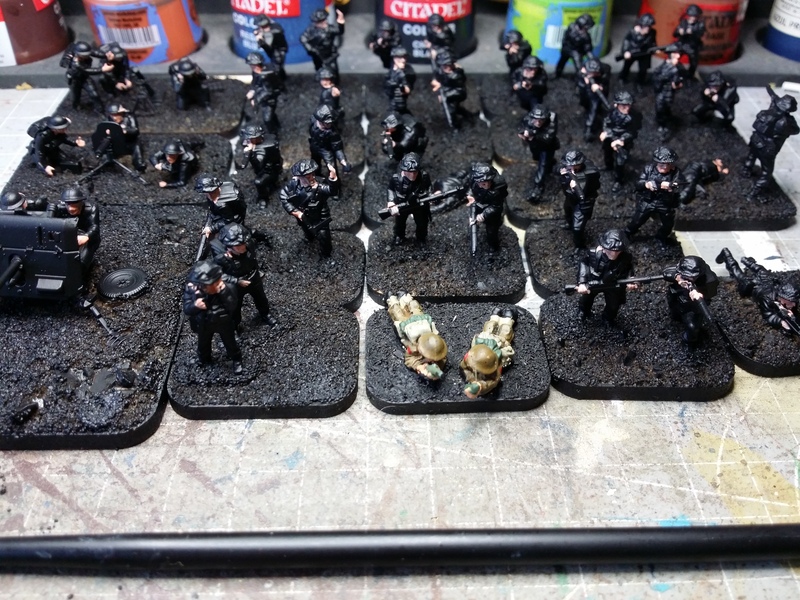 The figures have been under-coated in spray black. I like to use a brown undercoat these days, works as well as the black and makes it easier to see details on the figures as they are painted but I am trying to match his other figures a little so black under-coat was the way to go. After under-coating, especially when dealing with black under-coat, I like to paint the flesh next. It helps me see the other detail and generally it is the lowest part of the figure to paint (well, the face is anyway) so I can paint up to the edge of it easier. Next up – uniforms, helmets and webbing. Will be interested to see how these turn out compared to my soft plastic 20mm stuff. The Zvezda 2-pdr, mortar and machine gun are really nice as well. The 2-pdr in particular is going to be a be-atch to paint, however, but the detail on it is fine and good. It was a bit of a beast to assemble with fat fingers but does go together well as it is designed to be a snap together kit. Snap the pieces in, then touch with liquid glue and let capillary action carry the glue to the surfaces that need welding. Will have to check out the Zvezda stuff. It seems suitable for the EW Brits, and I fancy doing some of the BEF for Chain of Command, I can pick up A13 & Vickers Light Tank from S-Model very cheaply. 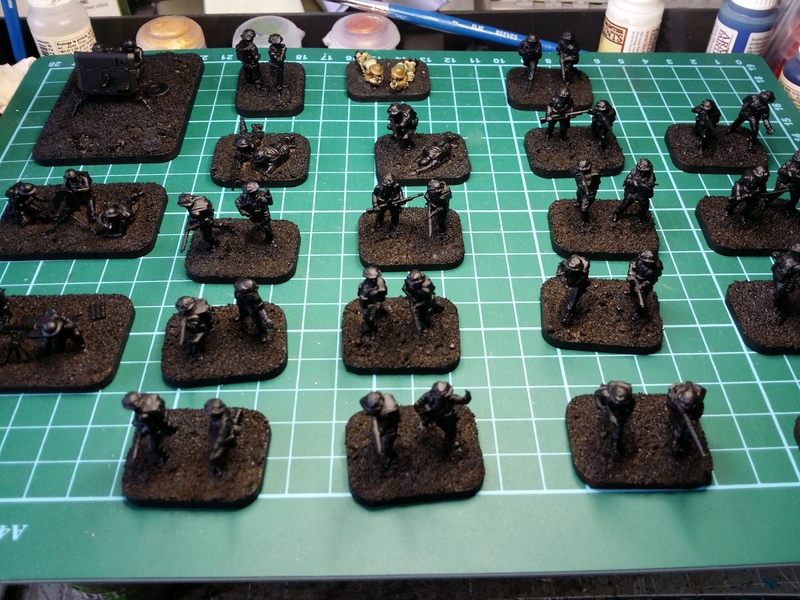 But at the moment, there is a dearth of 20mm plastic early war Brits. Everyone seems to do the Normandy campaign. Been there done that. Other than the 5 piece Zvezda sets, there are no suitable plastic figures for the BEF. And the Zvezda set only has four usable infantry figures, and there would be a lot of poses repeated 😦 Definite gap in the market.